Preventive Care is the new way of helping patients to maintain good oral health and this means fewer dental treatments. There are two main causes of tooth loss, and those are gum disease and tooth decay. We can prevent this from happening by just following simple oral hygienic rules and a regular checkup to the dentist. A dental plan or a treatment course may be provided to you from your dentist to work out and maintain a health mouth. It is beneficial for children or young people to start having preventive care but it’s not yet too late for adults to get it started. 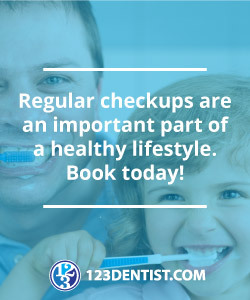 Whether you have all your natural teeth or dentures, anyone can benefit from it because various oral conditions can be found during your regular dental checkups. Oral health is not just about your teeth! What are parts of a preventive care procedure? A dental professional will check your teeth and gums and if they spot any condition, they will talk to you and tell you how to treat it. They will also teach you on how to brush the right way, floss correctly and recommend a mouthwash that is suited for you. Your dentist will make sure that every filling you have is in good good condition and if plaque is present on your teeth, they will make sure to have it removed. Preventive care is the best way to keep your smile healthy and happy. Learn more with the team at Affinity Dental Clinic today!